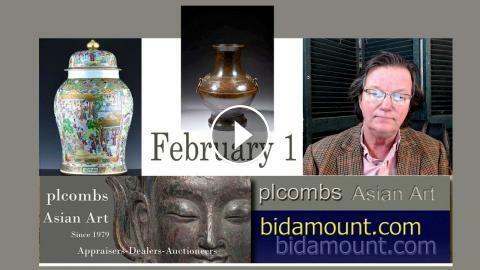 January 25th 2019 Bidamount Weekly Auction Results Chinese Porcelain and Art. Fine 19th C. Chinese famille rose export porcelain, Guangxu dish, Noya Straights porcelain, Kangxi plates, Ming celadon stem cup, dragon bowl and upcoming items on eBay. Also a look at some good Ming and Qing Bronzes endin soon.